This time of the year, when the weather is getting colder, we start spending more time indoor. Kids who used to play outside now have to find fun activities under the roof. Since they have an abundance of digital devices, sometimes it is so difficult to occupy their minds with something different than computer games. I think now we found how to keep children busy with something interesting and fun. 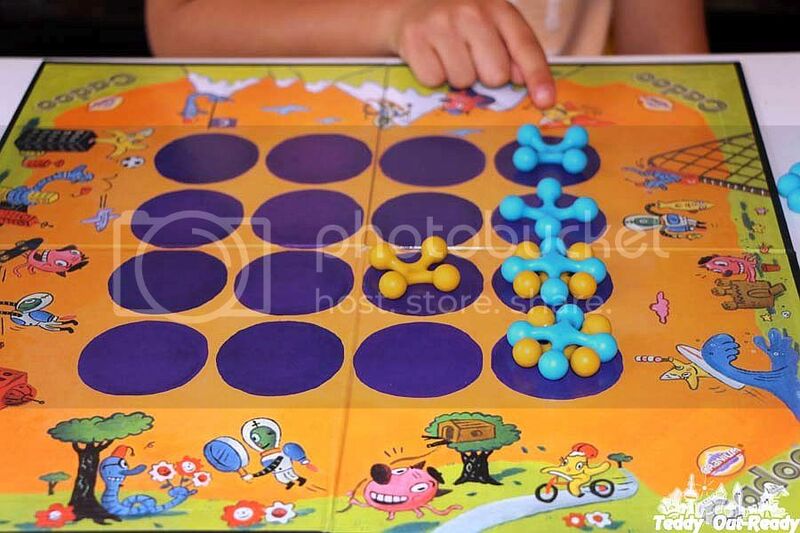 Cranium Cadoo for kids board game is the one to keep children busy for hours and have a fantastic family night together. Designed for kids ages 7 +, this game offers a variety of activities, from solving picture puzzle, answering a fun trivia question or sketching a target word. 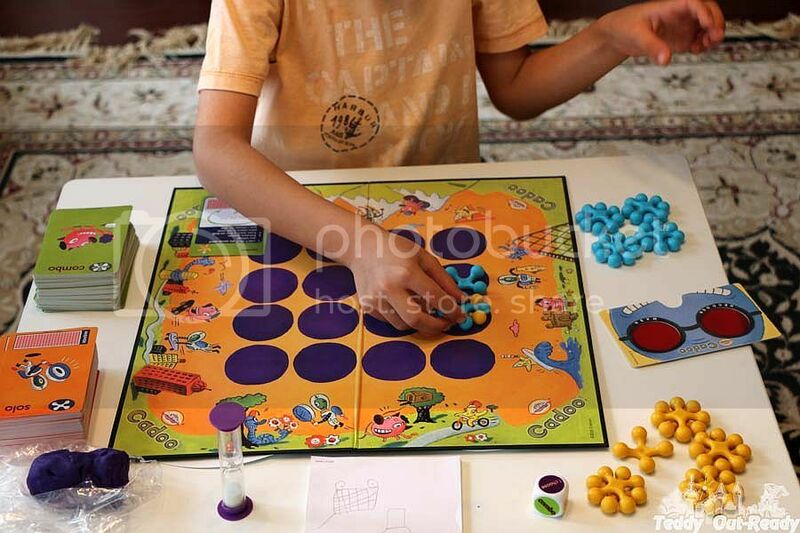 The game includes Gameboard, Solo and Combo cards, Tokens of four colors, Sketch Pad, Special Die, Secret Decoder Mask, Sand Timer and Cranium Clay. With the entire arsenal, gamers can join the fun and have a good time together. While it is designed for kids, adults are very welcome to join the game, it is totally amusing. You need to pay attention to the steps and think fast to overcome the challenges. The game is perfect for two or more players. We had two and three players games, but you can play in groups of four. So far Teddy won most of the games we played. He figures out it faster then us, adults, how to get better combination and tries to guess everything quick. 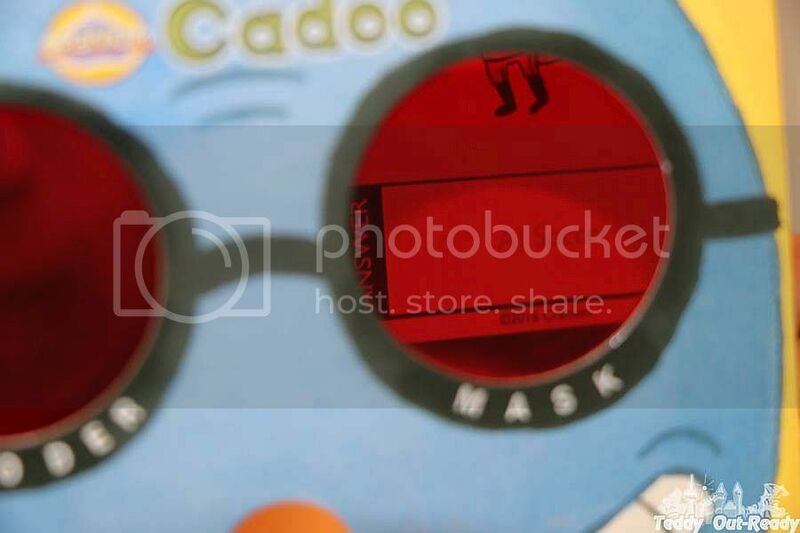 I liked using the Secret Decoder Mask, it is actually just glasses helping to show what is written on a card. We had fun sculpting various creatures from clay, acting game when we have to guess what the player shows, grab things fast like getting 5 small things which fit your hand in a short time limit. Drawing the clue is also an interesting challenge as it forces thinking how you would like to present the thing so that other person can guess it quickly. We had really good time together, mostly laughing and giggling. It was nice to see how players draws, acts and answers the question, it is great way to learn more about other players even if you know your family members and friends very well. Ask kids to express their creativity in this game and I think they will be happy to show their unique talents. 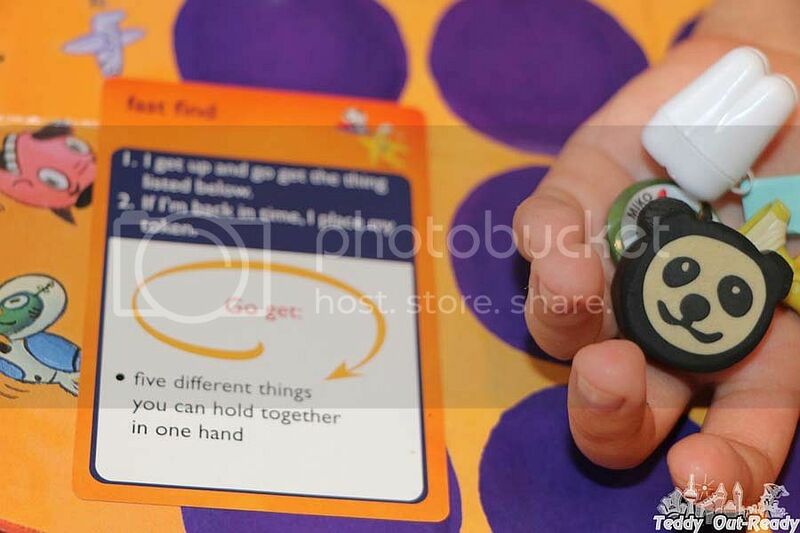 The object of the game is to be first to get four tokens in a row, across, up,down or diagonally and win. 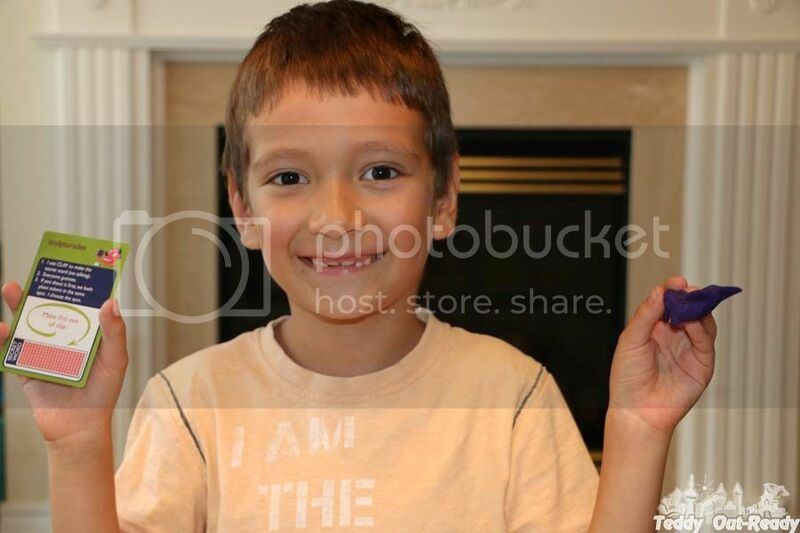 Choose the color of tokens, there are four sets are available. Each player takes all tokens of one color. Open the board and players are ready to go. There are two cards to choose, Solo or Combo. The player rolls the die to see which card to take. Then takes one card, read aloud what to do. There are various challenges to compete in, Teddy was good in trivia question to find out which attraction from three on a card was built in Italy, or another challenge to make a scooter from clay provided or draw on a sketch pad a shopping cart. The most interesting is the time limit. You have to find the answer in the time frame provided otherwise you lose. Beat the sand timer? Congratulation, you can move on with your token. Pass the die to the player on your left, one turn ends after one card challenge is done. The player needs to be first to get a four-in -a-row to win. In case nobody gets a four-in -a-row, keep playing until the board is full. The player with the most tokens wins the game! 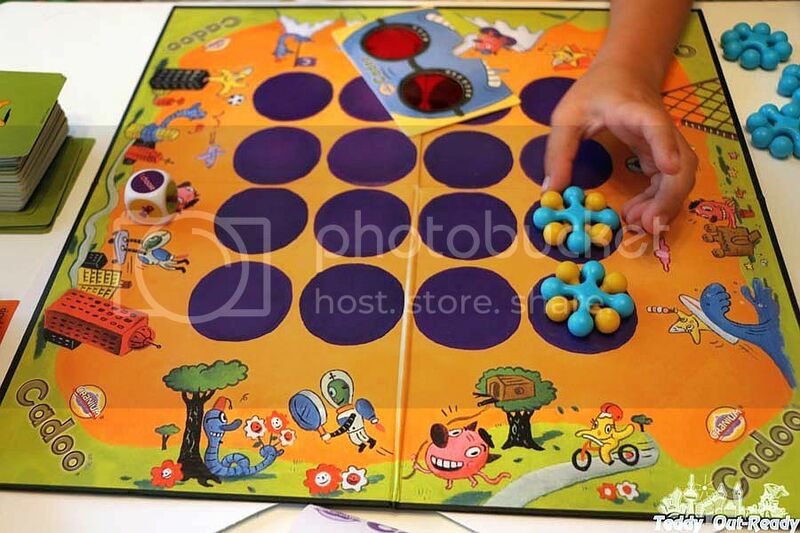 We had really good time playing Cranium Cadoo for kids, with more holidays to come, I am sure this game will be on our family night activities list. With various creative activities this is a great game for families. Kids and adults might even discover a talent they never knew they had! This game makes perfect gift for everyone who loves creative and interesting board games. 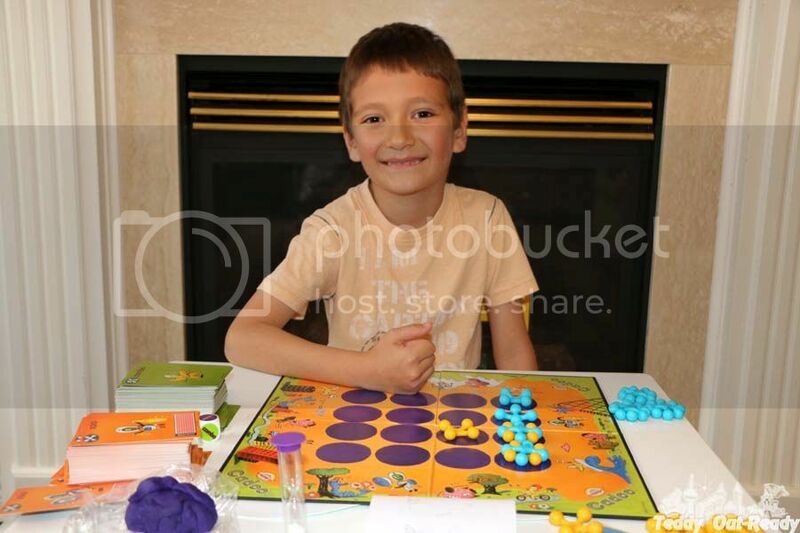 For more information about Cranium Cadoo and other engaging games, please visit Kroeger Play. 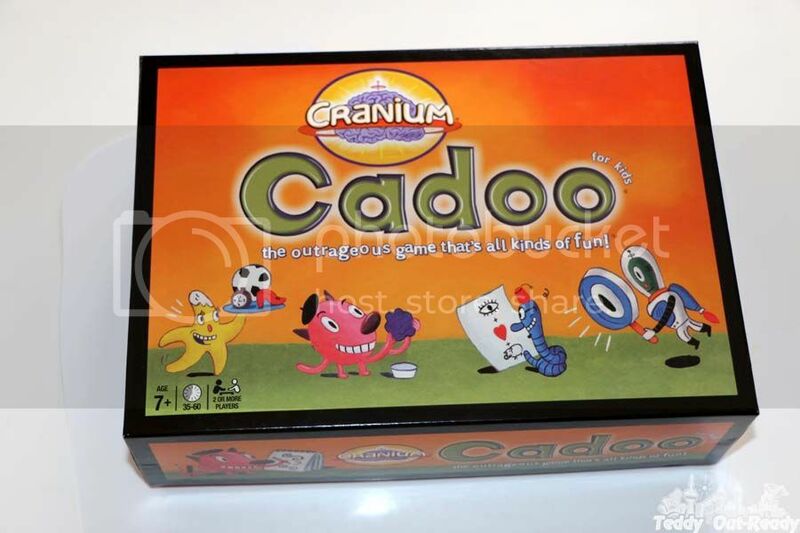 This month we are happy to giveaway Cranium Cadoo game to one of our amazing readers. The giveaway is open to Canadian residents only and ends November 1st, 2017. For your chance simply fill the form below and good luck! I would love to play this game with my girls, looks like a lot of fun!! I would like to play this game with my grandkids! I would love to play with my son! Thanks! I would like to play it with my granddaughter. This would be a great game to share with my girl! I would love to play this with my 2 kids. I would love to play with my son and daughter! I'd love to play with my nieces! I would love to play this with my kids. I would love to play this game with my kids! Our goal is to play more board games this fall and winter - we're looking for fun things to do as a family during the poor-weather seasons. I would love to play this with my kiddo and hubby. I would play this game with my daughter! I would love to play this great game with my grandchildren. I would like to play this game with my 6 year old son. We love to play games together. I would love to play with my nephew! I would like to play this game with my daughter and son. I would love to play this with my children. They love board games! I would play this game with my nephew. I would love to play this with my daughter. I would play it with sophie. I would love to play this game with my daughter! I would like to play this game with my grandson, it looks like it would be a lot of fun. This would be a fun game to play with our grandchildren when they come for weekend visits. Thanks for the super giveaway opportunity! my sisterinlaw and her now-3 kids are the gaming champs.. id love to play with them. i bet theyve played it! Would like to play it with my grandkids. I would love to play this with my son. I would love to play this game with my kids. I'd enjoy playing with my godson! I would like to play this with my kids! It's not too expensive to get these accounts and you can look at it as an initial investment for long terms gains to your online gaming merchant account. This games looks fun to play with. I was thinking to gift this game to my brother. It would be great idea. He play games online also like online casino and much more. Thanks for sharing.